Park Studios is located in the heart of Buckhead in Atlanta, Georgia, and adjoins some of Atlanta’s most charming and affluent city neighborhoods. Park Studios is minutes from Lenox Square and Phipps Plaza, upscale destinations for shoppers, decadent restaurants, and world-class hotels. Park Studios is also easily accessible to major interstates, including I-85 and 400. 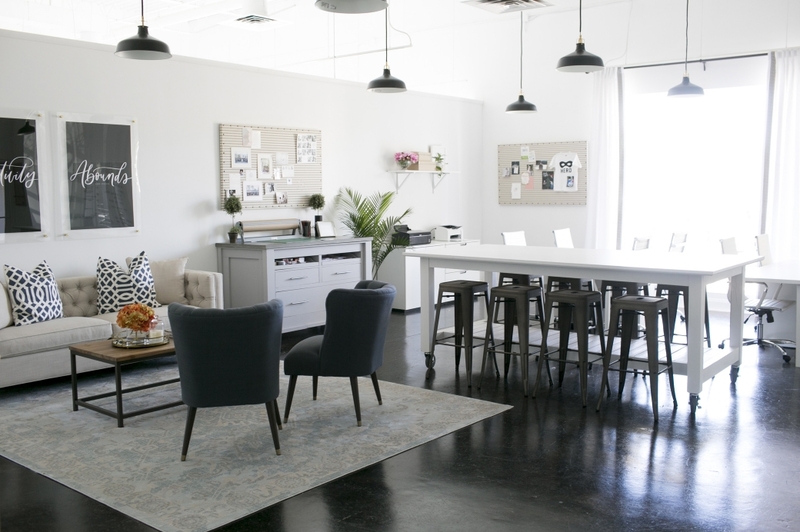 Park Studios is a 1000-square-foot natural light studio and creative space. It houses 2 large 9’, west-facing windows and boasts pristine, all-white hardwood flooring throughout the work space. We encourage you to get out and explore during your time in Atlanta. Buckhead is a wonderful place for upscale shopping, dining, and nightlife! The longest-running photographic conference, tradeshow, and exhibit in the USA, drawing 10,000 working photographers each year. Dating back to 1880, the event is always growing and evolving to help photographers become better artists, grow as entrepreneurs, and be inspired to do and be more. Imaging will take place right before the NAPCP summit, January 17th-22nd! The largest aquarium in the Western Hemisphere, the Georgia Aquarium is home to more than one hundred thousand animals representing thousands of species. With 10 million gallons of fresh and marine water, Georgia Aquarium is an entertaining and intriguing experience. Schedule an Animal Interaction with whale sharks, or an Encounter with a dolphin, penguin, or sea otter! A delight for people of all ages, there is so much to see and do at World of Coca-Cola! Visit the Coke vault containing one of the world’s most secret formulas, taste hundreds of global beverages, spend time in the artistic and engaging Pop Culture Gallery, and even take a selfie with the Coca-Cola Polar Bear (you know you want to!). Visit Coke’s Explore Inside page for the many, many things to do inside World of Coca-Cola! Steps away from the World of Coca-Cola and the Georgia Aquarium, the stunning and modern Center for Civil and Human Rights is a 42,000 square-foot safe space for visitors to explore the American Civil Rights Movement within the context of today’s global human rights movements. Powerful photos, artifacts, and stories — including personal papers and items of Dr. Martin Luther King, Jr.’s — are held within the walls of this meaningful cultural attraction. See Atlanta from 20 stories above Centennial Park! The SkyView Ferris Wheel is made up of dozens of climate-controlled gondolas to provide you with panoramic views of the Atlanta metro area. With SkyView’s VIP gondola upgrade, ride in a gondola featuring Ferrari style seats and a glass floor. A fun and memorable addition to your Atlanta experience! The Southeast’s leading art museum, the High Museum of Art’s collection includes renowned contemporary and historical art by artists like Manet, Toulouse, Monet, Goya, Keith Haring, Andy Warhol, Roy Lichtenstein, Willem de Kooning, John Singer Sargent, Frank Lloyd Wright, and special collections. Not to mention the celebrated architecture, which is totally Instagram-worthy.